Mike Owen Media > Events > Ultrasound Music Festival > The Ultrasound Music Festival comes to Tamworth! On Saturday 3rd and Sunday 4th September 2011, Tamworth Castle Pleasure Grounds will welcome a wealth of pop talent for the new Ultrasound Music Festival. Now, in 2011, the Ultrasound Music Festival will once again welcome many of today’s biggest pop stars to Tamworth and provide 44,000 fans with an action packed weekend of great live music and family entertainment. 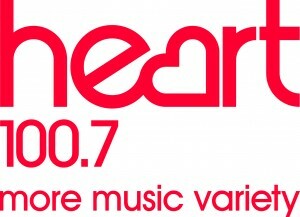 The Ultrasound Music Festival is delighted to announce that our media partner for the 2011 event is Global Radio’s Heart brand. The partnership will see Heart 100.7 promoting and covering the festival and its performers, with exclusive festival line-up announcements, on-air ticket give-aways, promotions and interviews. Tickets will be available through the Ticket Factory and Ticketmaster and on general sale from Friday July 8th when the first acts will be exclusively announced by Heart. Visit www.theultrasoundfestival.com for all the latest festival news and updates. Mike Owen Media will be posting updates regularly as well! UK Festival Awards - Vote for Fusion Festival 2013! Fusion Festival brings Bieber to Birmingham! « N-Dubz and Tinie Tempah to play day 1 of the Ultrasound Music Festival!